It’s well-known that interactions with a gentle, friendly pet can have significant health benefits. Numerous studies have shown that animals have the ability to promote healing, reduce stress, and lower blood pressure. 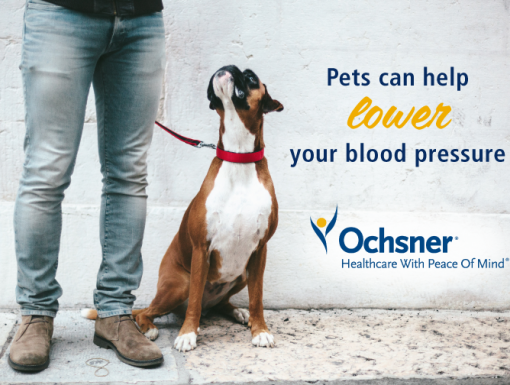 For years, the New Orleans Visiting Pet Program (VPP) has brought animal-assisted therapy to Ochsner Medical Center, providing a welcome distraction for patients and staff alike. The Visiting Pet Program started 24 years ago with a grant from the Louisiana SPCA. However, when the grant ran out, the volunteers didn't, and they continued the program by bringing their own pets to people who needed a dose of kindness. With their motto of “bringing love and leaving smiles”, these owners and their animal therapists include a variety of mix-breed and pedigreed dogs and cats, as well as guinea pigs and rabbits. All animals are temperament-tested during Pet/Handler evaluation held twice a year, as well as given an annual health check by a veterinarian. Ochsner heart transplant patient Emily Sanchez is one of the many individuals whose time in the hospital was impacted by the VPP visits. Admitted to Ochsner in 2012 for heart failure, Emily was promptly placed on heart transplant list. 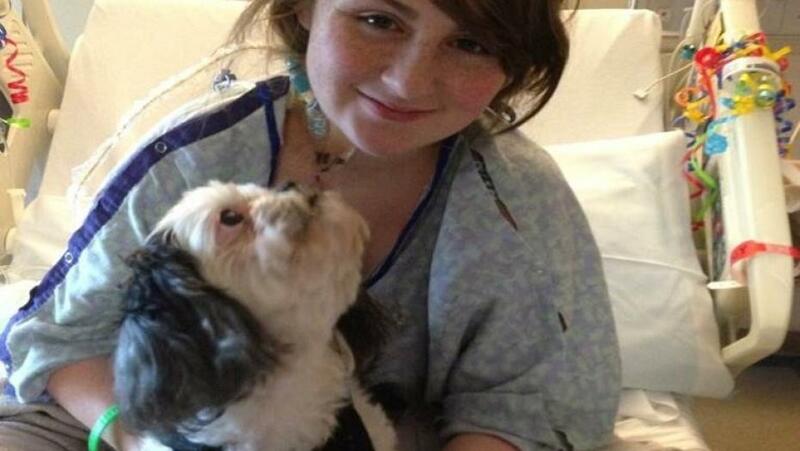 Emily received her heart transplant in 2014, and is currently a sophomore in college. Pet Therapy Program volunteer Fay Schultz was one of the visitors whose pets provided a bright spot during Emily’s extended stay.